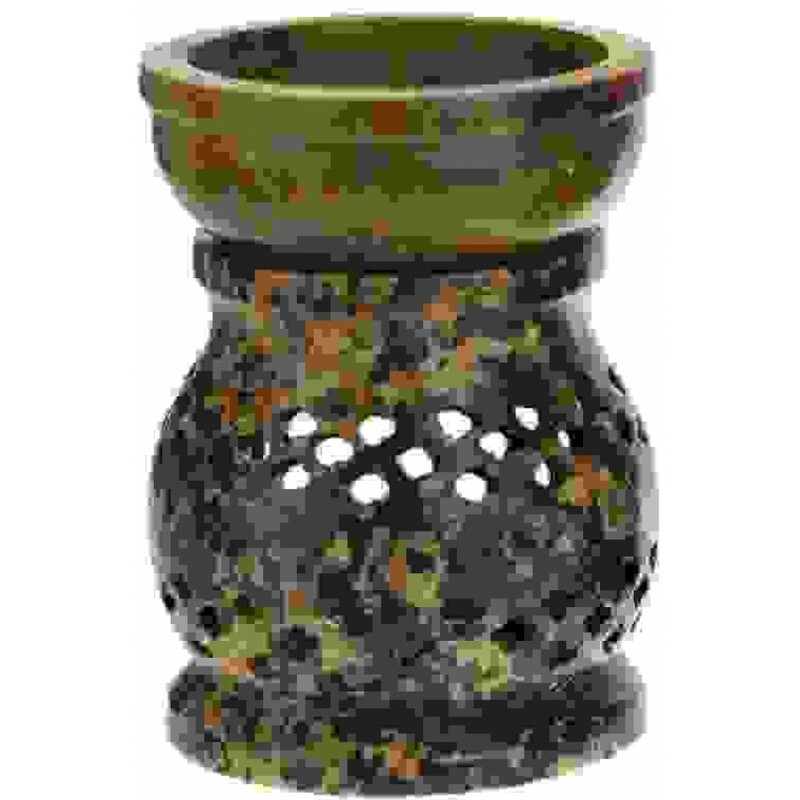 Lovely soapstone is hand shaped on this oil burner with a pierced lace design and removable bowl. Add water and a few drops of your favorite oil for a perfect, smokeless alternative to incense. Measuring 4 inches high, the bowl is removable for easy cleaning. 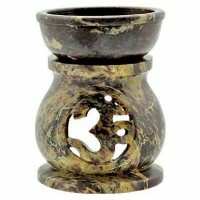 Base holds a tea light candle. Can also be used with wax melts. 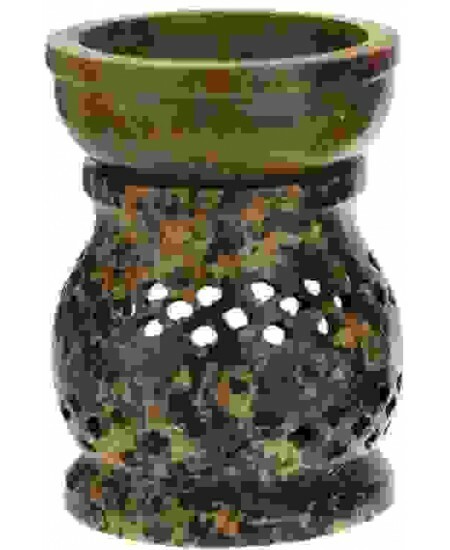 Carved from natural soapstone, each will be unique and may vary in color and pattern from piece pictured. It varies in color from oatmeal to expresso. Gift boxed with tea light candle. 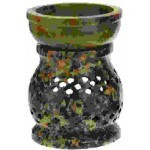 Item Number: SE-NLA | Approximate Size (Inches): 3.00 wide x 3.00 deep x 4.00 high | Approximate Shipping Weight: 2.00 lbs.